The Laurel Highlands seem idyllic, but for Jim Duncan they're anything but.Welcome to Fayette County, PA nown affectionately to some locals as "Fayette-nam." 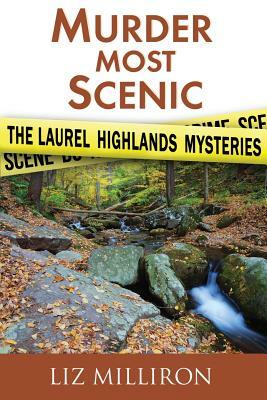 It's a place that boasts breathtaking scenery - and breathtaking crime. In this collection of stories, a young divorcee, a politician's wife, a local baseball star, the head of the local 4-H, and an up-and-coming brewmaster have one thing in common. They're all dead, murdered by person, or persons, unknown.It's up to Pennsylvania State Police Trooper First Class Jim Duncan to investigate each crime to find the guilty party. Just a divorced guy with a dog, he's aided by Fayette County assistant public defender Sally Castle. A woman with her own code whose interest in Duncan may rise above the level of purely professional.Murder Most Scenic brings together the following storiesAn Idlyllic Place for MurderDeath & PoliticsFatal Frost (new for this collection)Batter DownDead of SummerA Brew to Die For.